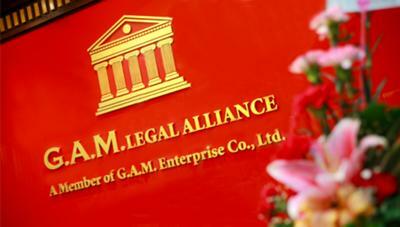 Acknowledging Phuket’s enormous legal business potential, G.A.M. Legal Alliance has established a flagship office in Phuket which seeks to address the legal and immigration needs of clients from the Southern Seaboard of the Kingdom. Strategically located in the beautiful, tranquil town of Bangtao, the Phuket legal office operates consistent with the firm’s mission – to deliver superb legal services to its clients guided with the values of integrity and attentiveness. Eventually, the firm is looking forward to building a long-term alliance with its satisfied clients. G.A.M. Phuket Legal Office complements the services offered by the firm’s main office in Bangkok by providing legal and immigration assistance to foreigners and locals alike in Phuket and its neighboring islands. The legal services include Thai Company Set Up and Business Registration, Marriage Registration in Thailand, Prenuptial Agreements, Thai Will, Divorce, Adoption, Property Purchase, Vessel Registration and among other things. Meanwhile, the immigration assistance services involve Thai Visa applications for long term stay in Thailand i.e. Retirement visa, Marriage Visa, Business Visa, Student Visa and Foreign Visa applications such as visas to the US, UK, AU and the Schengen countries. Join in and write your own page! It's easy to do. How? Simply click here to return to Business Listings.